If you still don’t quite understand just how large the new financial industry is [cryptocurrency], then the following information is for you! First take into consideration the size of the Foreign Exchange Market [FOREX] which accounts for the movement of all money globally. If you review the wiki entry for FOREX you will find that the according the International Bank of Settlements that in 2016 the global market is averaging a movement of $5.09 TRILLION per day. Try multiplying $5.09 Trillion by 365 days… and you get $1857.85 Trillion annually! The FOREX Market is by far the most valuable industry in the world. 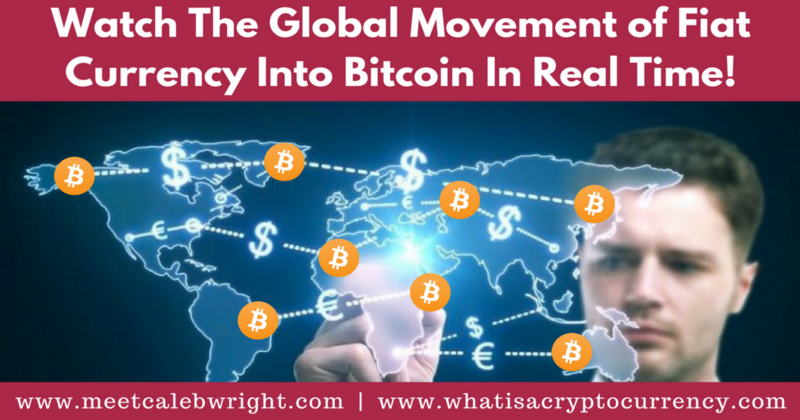 Now I want to present to you a way you can view the real time movement of fiat currency globally into the Bitcoin cryptocurrency market. And in watching this you will see firsthand, that every second of the day massive money is being sucked out of the FOREX Market into the Bitcoin / cryptocurrency financial market! On a daily basis the largest buyers of Bitcoin in the world in this order are: China, USA, South Africa, Russia, Europe. China is by far the country that is the most awake, and is purchasing massive amounts of bitcoin every second of the day. The USA is pretty sizeable in comparison to the velocity of acquisition happening in the rest of the world, but the masses are really still waking up to it here. Try leaving this website [FiatLeak.com] running in your browser for an hour [does not work on mobile] and see how much bitcoin is purchased globally within that time frame if this does not open your eyes, I do not know what will! They are diversifying their savings out of government fiat currency which is an unreliable store of wealth thanks to the threat of bank failure and insolvent governments. Cryptocurrency is a plan b to prepare for these impending dangers! They are leveraging money for significant to MASSIVE growth into the future, riding the wave of this emerging financial industry that has the potential to consume the entire FOREX MARKET [$1857.85 Trillion Annually]. They are taking action with cryptocurrency to secure an income in the largest eremerging financial industry in the world. They are securing their financial future for generations to come with the kind of wealth that will be generated by this industry. There is a massive opportunity to get yourself financially positioned for massive wealth in this emerging industry via trading and business. It’s rather hard to wrap your mind around the true potential of it all, it really is enormous when you start looking at the facts as we have. Now thinking of the size of the market as we discussed. Imagine if a company with success in the industry was able to capture just 1% of the $1857.85 Trillion annual financial market? That would equate to the company being worth $18.58 Trillion! Even a fraction of 1% of the total movement of all the money in the world would still equate to a trillion dollar company at the end of the day. That is how large the opportunity is! Now that you’ve wrapped your mind around that. I offer you the opportunity to gain my mentorship and work with me in the cryptocurrency industry to create a massive long term income that will make it so you never have to work another business ever again. Instead you will learn how to leverage your money the way the wealthy have been doing it since the beginning of money as a concept… by making it work for you! And in doing so you’ll never have to ‘work for’ money ever again. Because that is a waste of time, and a waste of our lives! Hope you found value in my post, and can now see with a clearer view what is going on in the financial world right under everyone’s noses. More and more people are waking up, and hopefully you will be one that wakes up in time to truly change your life from the opportunity we have at hand! P.S. If you haven’t yet taken a look at my FREE Crypto Mini Course, I would urge you to take just a little time out of your day, and start learning how you can start position your family for a financially secure future… the longer you wait, the more the window of opportunity closes. Trends like this only come around once in a lifetime, and the window for opportunity to change your life financially can often be very short… don’t let yourself miss your opportunity to change your life, click the following link and start learning more today! Hello my friend! It's been a minute, but I thought you'd find this article very interesting so just forwarding the info along to you. 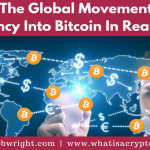 The article is called Watch The Global Movement Of Fiat Currency Into Bitcoin [In Real Time! ]and is located athttps://www.meetcalebwright.com/cryptocurrency/global-movement-fiat-currency-into-bitcoin/. Let me know what you think!